The brief, in essence, was very simple. The client was in possession of one version of an illustration prepared some time ago for them of an androgynous cyborg. We were asked to recreate it, together with a lab style environment. Fully rigged, the final sculpt can be repurposed for future use. The mood boards we were presented with displayed hi-tech “Tron” style images. 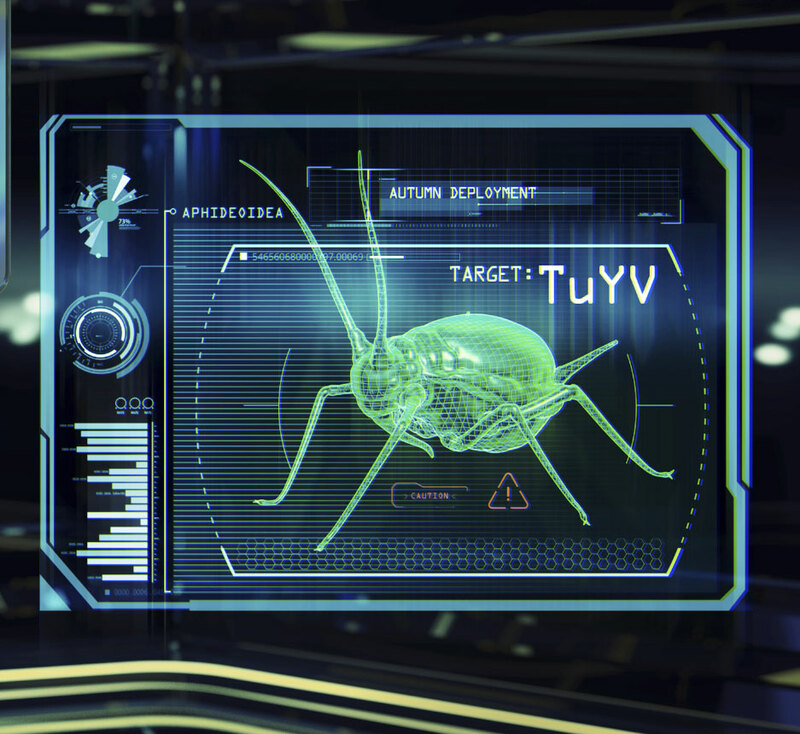 An important part of the illustration would be an interface design with an aphid at its centre. We looked to H.U.D designs for inspiration. We produced a more shapely, female cyborg, early on in the design process. Even though it is affectionately called Rita – the androgynous version that appeared in the final illustration was the preferred route.